IEM Power Systems extensive experience in low and medium voltage power guarantees that we can expertly support the development of power systems designed to safely and reliably harvest renewable energy sources including solar and wind. Switchgear and Controls necessary to safely aggregate the electrical power generated by turbines or a solar array, and prepare this power for distribution via the local or national power grid. Energy Storage Systems that will help maintain a constant feed onto the grid compensating for fluctuations in wind speed or levels of sunlight. Utilizing robust, efficient and reliable rotary technology we can store sufficient energy to ride-through the ‘micro-cuts’ caused by fluctuating weather patterns, compensating for sharp sags and filtering spikes in supply from your chosen energy generation source. The use of renewable energy sources presents new challenges for distribution grids and individual power consumers, affecting availability of supply and overall grid stability - IEM Power Systems provide safe, efficient and reliable solutions to these issues. 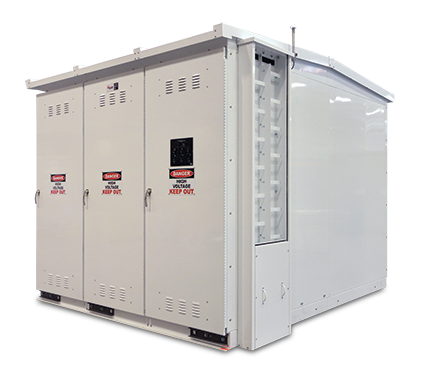 Built in the USA, our switchgear is UL certified and has CSA listing when required and applicable. Our equipment also meets the stringent seismic requirement of the UBC code. IEM Power Systems can develop a custom made solution that will provide a clear system for your team to monitor and control your renewable power generation equipment. Copper Mountain Solar complex is one of the largest photovoltaic solar plants in the world. Situated on about 1,400 acres of land, Copper Mountain Solar 3 taps into the intense desert sun in Boulder City, Nevada to produce clean energy and a stronger local economy. IEM deployed ten (10) NEMA 3R line-ups to help power the 250-megawatt (MW) solar plant. The solar plant is capable of generating enough electricity to power about 80,000 homes. IEM Power Systems' installation has shown itself to be highly reliable and contributed effectively to the success of the Copper Mountain Site. We are proud to have worked with the Sempra team and other contractors to build a facility that, in 2015 was the first solar installation in the US to be awarded the Voluntary Protection Programs Star worksite award for exemplary safety performance.